The Brad Anderson Recognition Committee is offering Engraved Bricks through a fundraising on PolarEngraving.com. The bricks will cover the walkway around the statue. 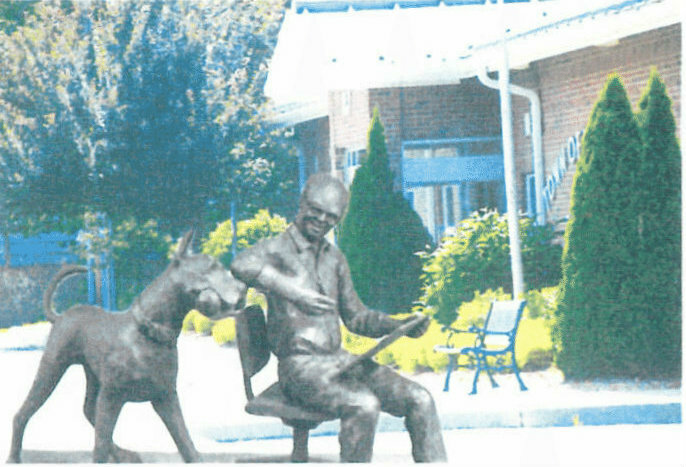 This will give donors an opportunity to have their name, family name, business or the name of a beloved pet displayed on the grounds surrounding the statue. The durable bricks come in three sizes 4 x 8 with 20 spaces on 3 lines of engraving for a donation of $50, 8 x 8 with 20 spaces on 6 lines of engraving for a donation of $100, 12 x 12 with 20 spaces on 8 lines of engraving for a donation of $150. This is a great opportunity to have your generosity displayed for many years to come. The unveiling of the statue will be on July 2nd 2016 during a memorial ceremony for the late renowned cartoonist and creator of the newspaper strip “Marmaduke”. The engraved bricks will be on display in the small park to be viewed by visitors on that special day. Please order your brick now to insure that your brick will be in place by the ceremony date. The ﬁnal guaranteed date will be May 20th 2016. Place your order quick and easy on the website. The donor can simply go on line place the order for the brick using a credit card or send a check to the indicated address. There is a lifetime warranty on the engraving and brick. Logos, clipart, and artwork are available on the website for only $6 extra per engraved brick. Add an additional $7 and a replica of your brick engraving can be made on a tile to display at home or business. http://polarengraving.com/BradAndersonRecognitionCommittee to place your order.